Washington Post columnist Catherine Rampell has a good idea — apply the controversial, but very legal, policy of eminent domain to Donald Trump, who loves it to death, at Trump Tower in Manhattan, where a clogged security site is already sucking millions of police protection cash from the city. Through eminent domain, the city would have to pay Trump for the building before they dismiss him from the site. But, in her column, Rampell explains how it’s well worth it. Is former Bronx Borough President Adolfo a Republican? Seems absurd on the face of it, but Carrion invited speculation when choosing to not deny the possibility when asked by The New York Times last week if he would consider running for mayor as a Republican as some city bigshots are recommending. The Post had some more to say about it yesterday. Carrion rose as a loyal member of the Bronx Democratic machine (who eventually tussled behind the scenes with party boss Jose Rivera after ascending to the borough’s top job). He left in the midst of a second term to work for Democrat-in-Chief Barack Obama as the first director of the White House Office of Urban Affairs. He left in May 2010 to become a HUD regional director. Hardly a typical Republican pedigree. But some Carrion comments in February to Capital New York reporter Azi Paybarah sounded a bit like a Dem trying on some GOP training wheels. Carrion, the former Bronx borough president who is eying a run for Congress or citywide office, also sought to distinguish himself from “the noise on the left” when it came to public housing. Carrion stressed that he was committed to helping the elderly, veterans and families that “have a set of circumstances that will require them to stay” in subsidized housing. Carrion, who is an urban planner by training, said it’s not realistic to demand retail stores pay workers salaries that enable them to lead their household. Carrion almost never lines up in front of or alongside pushes from the grassroots, as say his successor, Ruben Diaz, Jr. did in championing the Living Wage efforts of community activists and unions or as a young assemblyman taking a lead in demanding police accountability following the killing of Amadou Diallo. 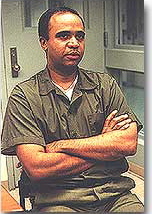 Carrion did get arrested for protesting the Navy bombing of Vieques while he was first running for borough president, along with Rivera, but following that early aberration he mostly favored backing corporations taking on big controversial development projects — like Yankee Stadium and the Related Companies’ Gateway Mall — which received significant public subsidies. But still, a Puerto Rican Bronx Democrat turned Republican? It’s happened before. The first Puerto Rican borough president, Herman Badillo, did become a Republican, but only very late in his career when he sought the Republican nomination against Mike Bloomberg. So, while not unprecedented, not too successful either. But some political consultants see a potential opening, maybe because candidates running as Republicans have now ruled the Big Apple for almost 20 consecutive years. Tags: Adolfo Carrion, Amadou Diallo, Herman Badillo, Jose Rivera, Ruben Diaz Jr.
Good morning. 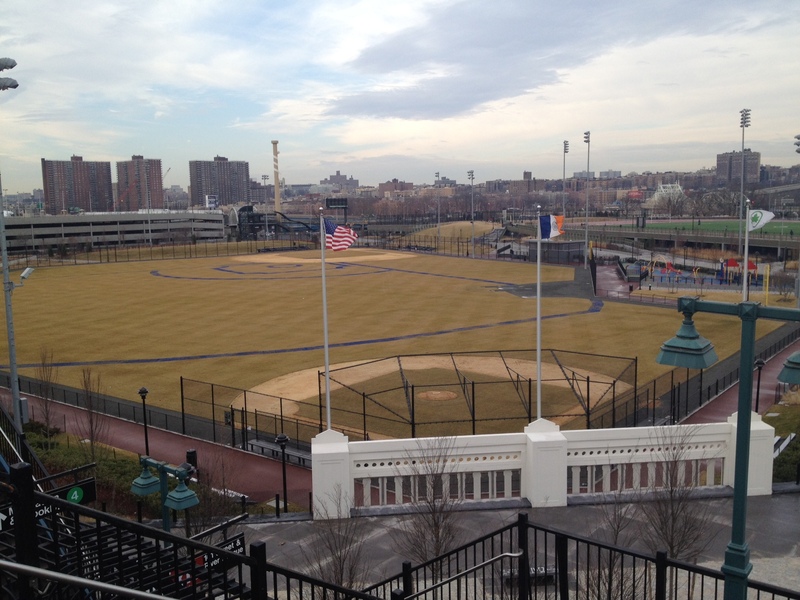 Today’s Morning Matters is dedicated to the Heritage Field opening and the Times’ coverage. Three and a half years after Mayor Bloomberg closed huge portions of Mullaly and Macombs Dam parks to make way for the Yankees new $1.5 billion stadium, the replacement ballfields the city promised are nowhere to be seen. It has been nearly 18 months since the last game was played in the old stadium. Yet its concrete hulk still looms like a gray ghost across the street from the Yankees new palace. I’ll admit, I have a pretty firm point of view on the democracy-ignoring deals regarding the new stadium, its impact on taxpayers and the community around it. I wrote this lengthy editorial in the Norwood News back in 2006. But I think I’m looking at it with fairness and not bias when I say that in a story regarding a land use issue this big for the Bronx an interview or two with one of the prominent local activists or former community board members who opposed the stadium deal (they were ditched from CB4 by then-BP Adolfo Carrion, Jr.) would have been warranted.